Greetings people!!! I hope everyone is still praying for our city. Judging by the news, we need it now more than ever. I know many of you are angry and discouraged by the actions of a few, but good people still make up the majority of our city. Now, onto the business at hand! In a prior blog I envisioned 2012 as a big year for Michigan artists. It appears that I was right. Kai Mann released “30 Day Notice” and Andrea Daniel released “Like Gwendolyn” earlier this year. Both books received great reviews. 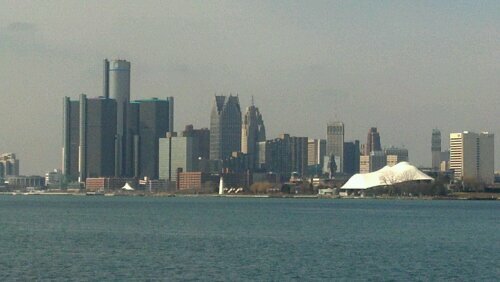 Also, the anticipated Indie film “Sext Messaging” began filming here in Detroit; at the end of February. However, March is bringing in the big guns! Motown Writer’s Network founder Sylvia Hubbard is releasing her latest book, “Hope Is Love”. This Saturday, March 10th, you can get your hands on a copy and meet with Sylvia at Tom’s Oyster Bar on Jefferson in Downtown Detroit. Sylvia has published 28 books prior to this one and promises to release at least one more before the year is over. This is pretty extra-ordinary for a single mother of three! March also has another female powerhouse throwing around her literary weight. Fresh off tour performing in the Netherlands with the Dutch group Wunderbraun, poet and singer Rosemarie Wilson is ready to release her second book entitled “Out of Darkness into Light”; and I had the pleasure of reviewing this book ahead of time. If you want to know what I thought of it, you can read my review on the back cover of the book! Also, on March 16th at Manila Bay Café, Rosemarie Wilson will be hosting her Birthday/Book Signing and Release Party. I will definitely be in the building!! This year is starting off great for our authors and artists, but I have one question, where are our male authors? C’mon fellas, let’s step it up… Including me!!!! I am currently working on my debut piece, but in the meantime, let’s support our entire family of Detroit artists. Only by supporting each other can we become great as a whole! Holla if you hear me!! Posted on March 7, 2012 by KELLY GREENE	• This entry was posted in People, Uncategorized and tagged Artitsts, Detroit, Rosemarie Wilson, Sylvia Hubbard. Bookmark the permalink. Great article, very informative and well written. Congrats to you as well for keeping us informed you are also among the cities rising artist. Keep it growing. Thank You!! I am working hard to perfect my craft!